The Hills Are Burning: PSA. 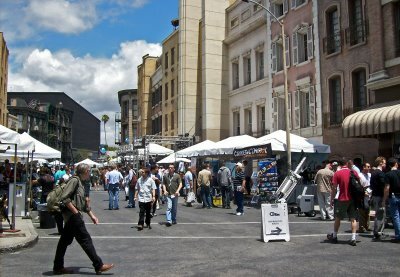 For those of you on the West Coast (more specifically, those of you in SoCal), Cinegear just opened up their attendee registration. It's free to register up until the 28th of this month, after which you'll have to pay $20 at the door to get in. In my opinion, as great as the Expo is, it's not really worth the $20, but is definitely worth the free price. Even if the prospect of checking out new gear doesn't excite you, the event is usually a good place to run into and catch up with old colleagues and score some free swag. "Well, That's Easy For You To Say..."
Procrastinating Isn't A Good Idea.